Meatzza, what can I say about this one, it looks like a pizza, yet its not a pizza. 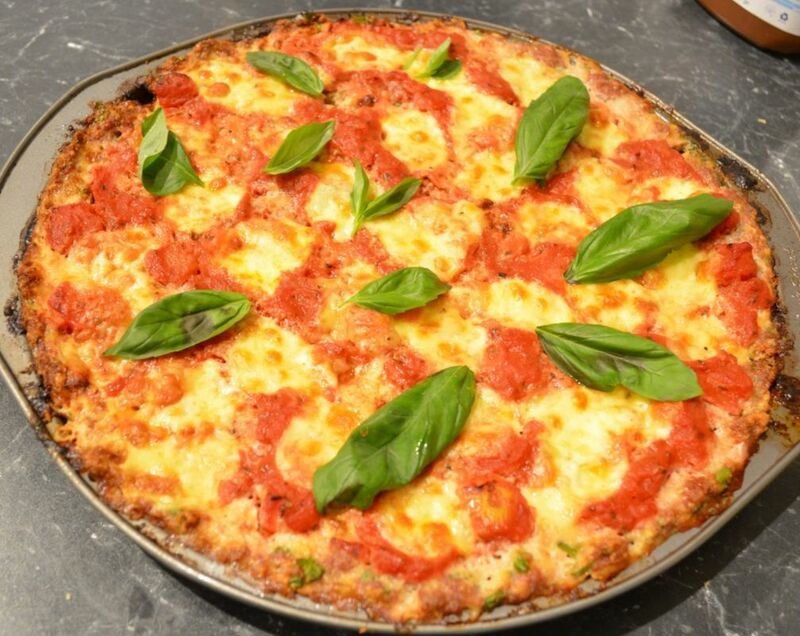 What is it, it is a giant meatball pressed out flat to fit a pizza tin, topped with tomatoes and mozzarella and baked like a pizza. Does it taste great, it does, my kids love this. Do I love it, I actually do. I first made this as I had mince in the fridge to make a Bolognese sauce, I just didn't have the time to make my Bolognese sauce, so, I remembered seeing this recipe and thought why not. It really is tasty, honestly. It is a great midweek meal as it is fast to throw together and bakes quite quickly. I have only made it with a margherita type topping, but according to Nigella you can top it with any toppings you like. This is seriously tasty, it is great when kids come over, a bit of a novelty dish, which you should try at least once, just for the fun of it. But my kids request this regularly now, as it is a hit with them. What we also love is when you press the mince mixture out into your tin, push it up the sides a little, these bits don't get tomato on it and what happens is the mince crisps up and a crust form, this is delicious. Now you can use baking paper, to save up on cleaning, but the mince mixture shrinks a little if you do so, now that doesn't affect the flavour, but it doesn't look as pretty. Without baking paper, and using a non stick pan, it sticks a little, but if you use a cake slice, it gives eventually, just be gentle with it. Your choice either way, try with baking paper first, see if you like the flavour. Now I use pork and veal mince as it is light in flavour and it is my favourite mince, but you can use beef or chicken, whatever flavours you like really. I also use bocconcini cheese instead of mozzarella when I have it in the house and need to use it up. It really is up to you on the type of mince or cheese you like, adjust the flavours to suit your family. So if you are looking for a quick, easy, cheap mid week meal that is fun, this one is for you. Place a sieve over a bowl and pour the tin of tomatoes into the sieve to drain off any excess liquid while you prepare the mince base. In a large bowl add the mince, parmesan, breadcrumbs, parsley and eggs. Grate in the garlic, season with salt and pepper. Now lightly mix it all together to combine, but don't over work it, you want it light, not dense and compacted. Spray or brush a 28cm round baking tin with oil. 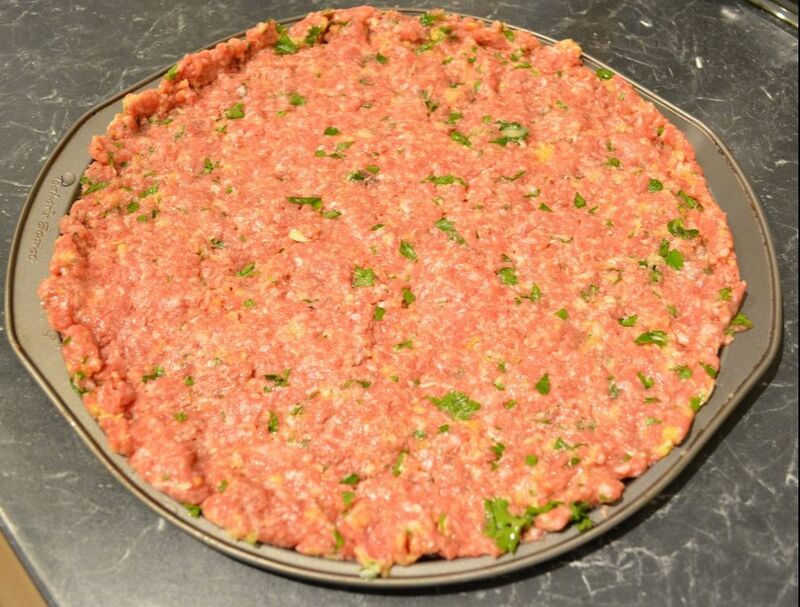 Place the mince mixture into the tin and spread out pressing the mixture lightly with your fingers to cover the base of the tin like a pizza base, allow it to go up the sides a little. Place the drained tomato into a bowl, discard the liquid. Add the garlic oil and oregano to the tomatoes and season with a little salt and pepper. Now spread the tomato sauce over your mince base. Arrange the mozzarella slices on top. Place in your preheated oven for 20-25 minutes, or until the meat is cooked through and lightly set and the mozzarella melted. 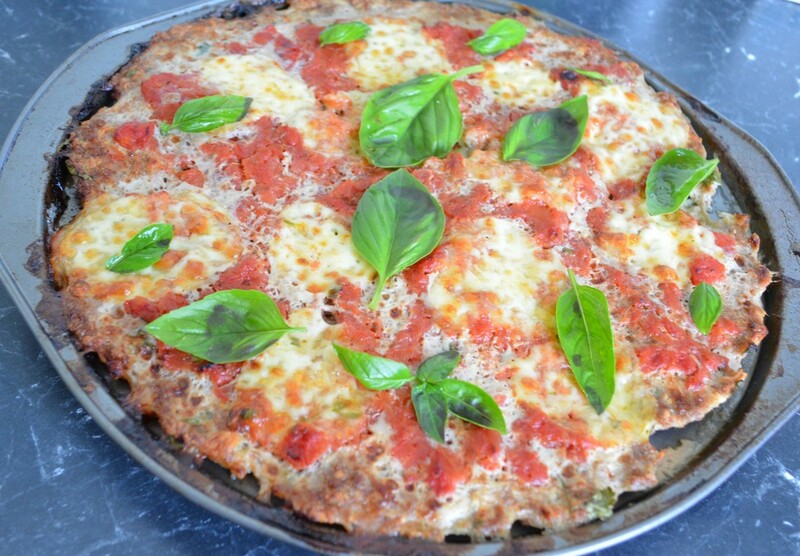 Remove from the oven, let it sit for 5 minutes, then scatter over the fresh basil leaves. Serve it up by bringing it to the table whole and slice up into wedges, like a pizza.